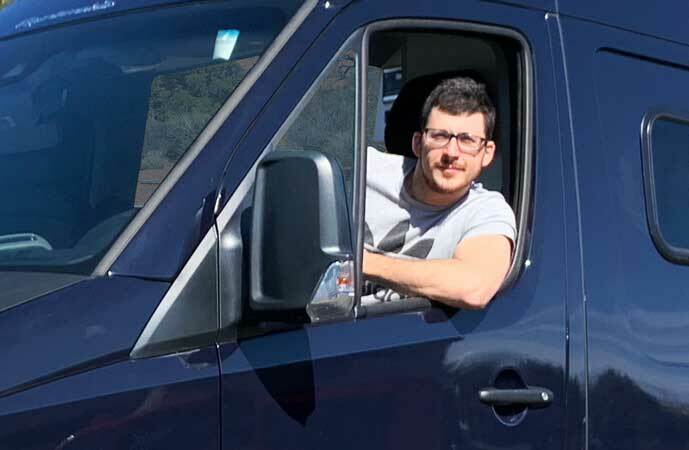 “With Sportsmobile’s design help, I am now driving a vehicle built just the way I wanted it. 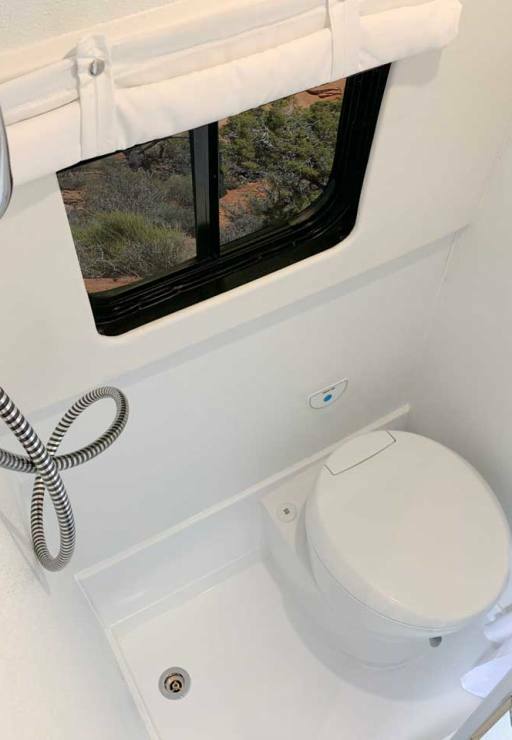 This picture shows bath compartment behind the driver’s seat. A tall closet is to the left. Gaucho converts into a bed. 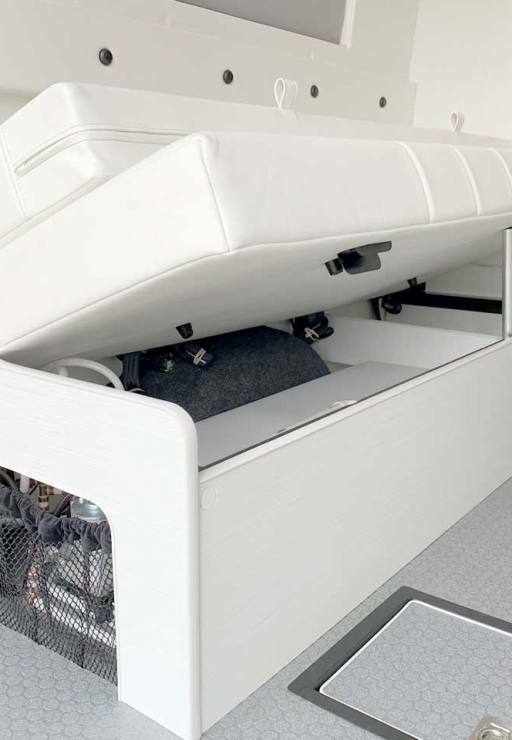 There’s leg space between the bed and galley. 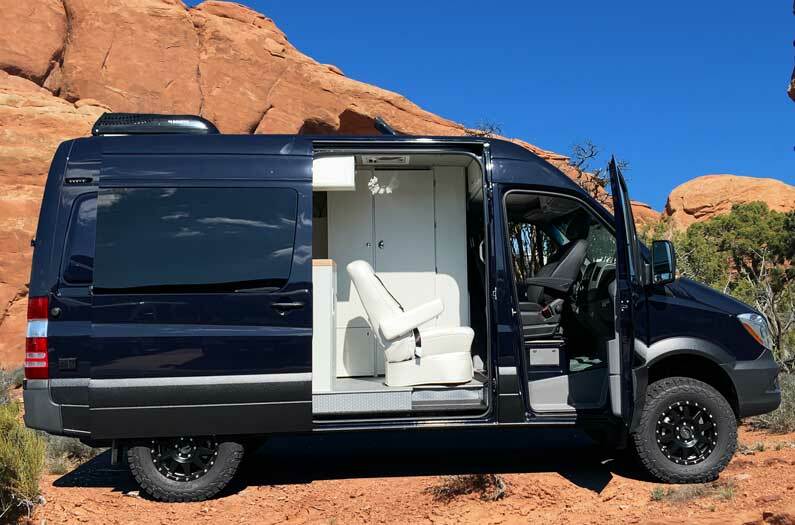 The ceiling height is a Sprinter high top van is 6’3″. There’s an attic fan and roof A/C. 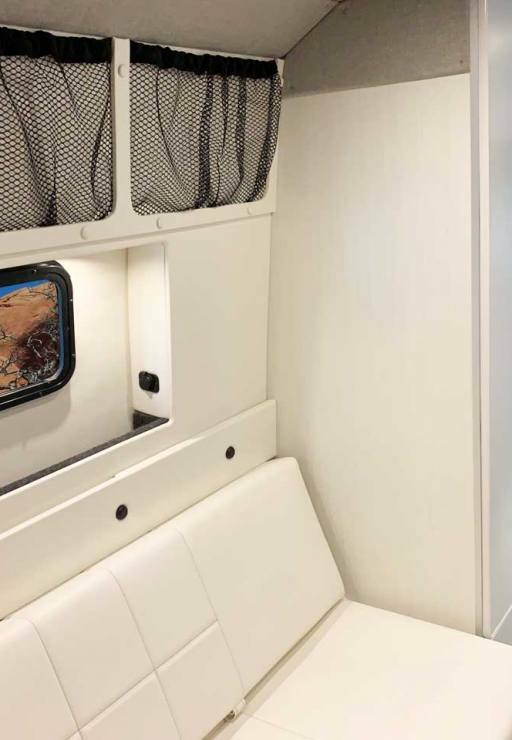 Galley is long and includes a slide, pantry, drawers, compartments, refrigerator and microwave. This van has the side flares. The gaucho/bed has 3 seat belts. The table can be any size. This one has a tripod base. Use it in the rear, front or outside. Butcher block counter tops are an option. Sinks are deep. Faucets pull out. The refrigerator is an Isotherm. This van has fiberglass flares to make the platform bed length longer. Bath compartment includes a cassette toilet. The top section swivels to face the compartment side. An exterior shower (o) is also included. Nice to wash the dog’s feet or an outside shower. A larger fresh water tank, water pump, and propane furniture are in the seat base. There’s some storage on top of the water tank. The under floor storage compartment (o) capacity is 6CF. A removable platform bed can be positioned over the gaucho bed as shown. 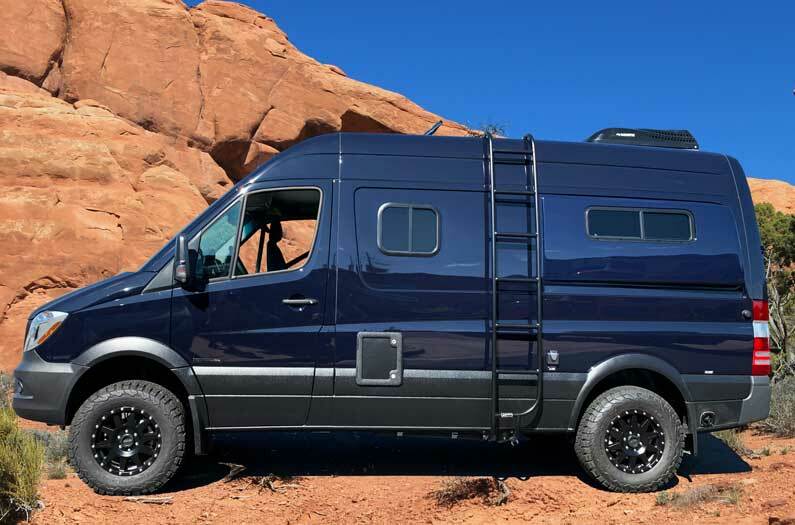 The exterior van flares will make the bed length wider or 73″ long.